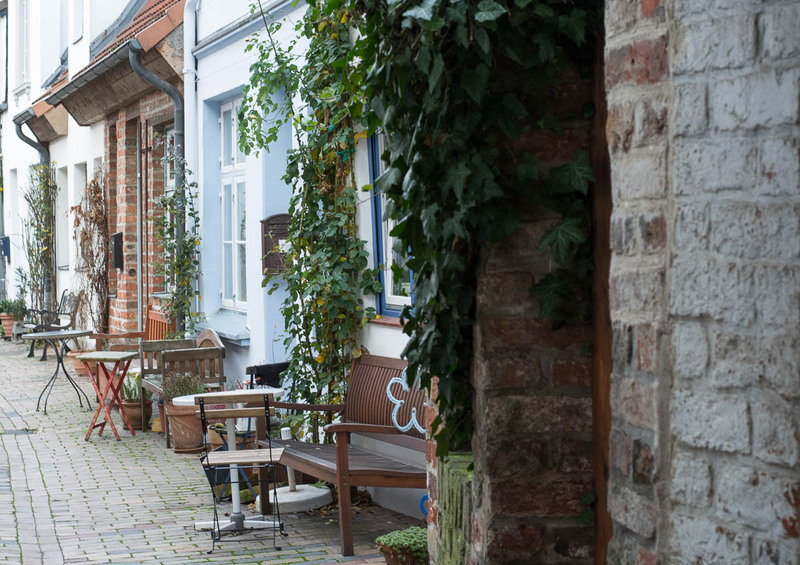 We have some very small alleys in the city centre of Lübeck. Most of them are remains of the medieval urban development. I find it difficult to take photos in narrow alleys, but that just because I am always not sure how to frame the scene in this case. With the photo in this post I didn’t want to show you the whole scene but a part of it. I wanted to frame the cozy corner of it, because many of the residents have seating areas in front of their homes. The alleys are very calm places, because most of them are very hidden side streets. If you ever come here as a tourist, pay attention to small hidden alleyways along the streets in the city centre, in some cases you will even have to crouch to get into the alleys.